Welcome to Flying Pen Press! Flying Pen Press is changing! Check back soon to see our new look! Email your order or call 303-375-0499 today! Flying Pen Press is proud to announce the publication of Owl Dance by David Lee Summers. It has everything you could ever want in a "weird Western steampunk" novel: airships, gunfighters, an exotic woman, aliens, mad inventors, dangerous outlaws, pirates, and an impending invasion of the United States by the Czar of Russia. 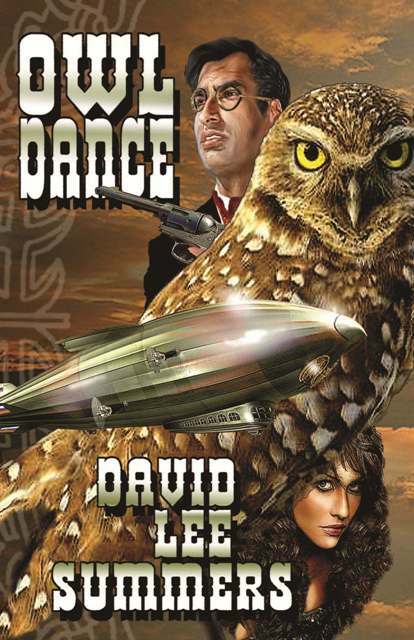 Owl Dance by David Lee Summers is now available for order. The prepublication sale price is only $9.95, through September 13, 2011. Please join us on Twitter for the Owl Dance, publication party on Friday, Sept. 16, 7am to 7pm Eastern Time. There will be games, contests, prizes, blue-light specials, excerpts, interview with David Lee Summers, and a whole lot of steampunk goodness. Please let us know you will be there by sending a tweet to @DavidRozansky or @DavidLeeSummers. To join the party, use the hashtag #OwlDance. 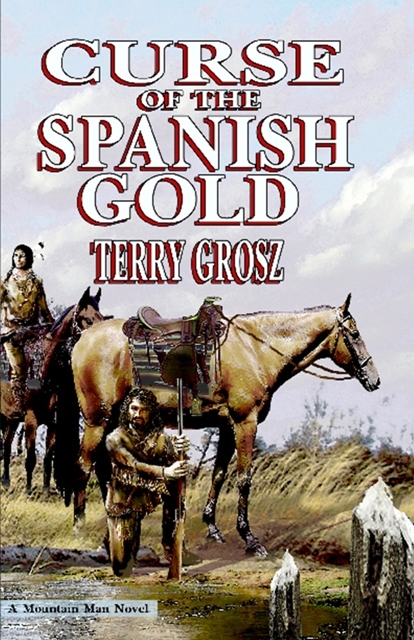 Terry Grosz, author of the Mountain Man Novels Crossed Arrows and Curse of the Spanish Gold, as well as the National Outdoor book Award winning memoir of his life as a wildlife law enforcer, Wildlife Wars (soon to be reprinted by Flying Pen Press), will lecture at the Colorado Open Space Alliance conference on Sept. 19, 10:30am, and present the impossible-to-find Animal Planet movie "Wildlife Wars" based on his own stories on Sept. 20, 9:45am. Grosz will sign his books on those two days in the conference's exhibition room. Space Tramps: Full-Throttle Space Tales #5, edited by Jennifer Brozek, will be available September 21. The anthology includes 16 campfire tales of vagabonds and drifters in space. The pre-publication sale price of $9.95 will be available shortly (please check back regularly). Once posted, this sale price will stand through September 20, 2011. Please join us on Twitter for the Space Tramps publication party on Friday, Sept. 23, 7am to 7pm Eastern Time. There will be games, contests, prizes, blue-light specials, excerpts, interviews with Jennifer Brozek and the authors, and few clever and not-so-clever puns. Please let us know you will be there by sending a tweet to @DavidRozansky or @JenniferBrozek. To join the party, use the hashtag #FTST. David Lee Summers, author of Owl Dance and editor of Space Pirates and Space Horrors, will be in attendance at MileHiCon. He will speak on panels and sign his books. For more information about events featuring Flying Pen Press authors or editors, please visit our Events Page. See the Site Map page for a description of what's inside the Flying Pen Pres website. Flying Pen Press is dedicated to publishing great books and to showing authors great respect. Learn more about our visionary ideals on our Philosophy page. 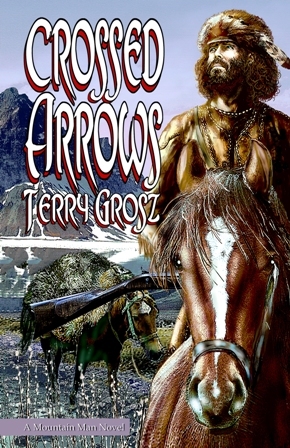 Crossed Arrows is the first of The Mountain Men Novels, an adventure set in the early days of America's Western expansion. In 1829, Jacob and Martin left Kentucky to become Mountain Men, trappers of the Rocky Mountains. The two young men find that life is hardscrabble in the high frontier. Crossed Arrows is the story of two adventurers who lived hard in the earliest days of the Wild West. Jacob and Martin, the two namesake sons of the Mountain Men from Crossed Arrows continue their fur - trapping adventures until the fur trade declines. They then lead a wagon train west to California as wagon masters. From there, they go to sea, first as a turn of fate, then to fulfill a desire. Terry Grosz was a wildlife law enforcement officer for California and the U.S. Fish and Wildlife Service. Wildlife Wars, his first book, won the National Outdoor Book Award and was the basis of a docudrama featured on Animal Planet. Seven memoirs followed. Flying Pen Press is proud to publish Grosz's new series of "Mountain Men Novels."